The subscriptions area is your overview of all subscriptions and their current state, in your account. You can easily search for customers or filter your subscriptions by their status, a specific product, and by time period. You then have further filtering and sorting options available to you. If you’re wanting to find your active subscribers, subscriptions you’ve paused, completed/cancelled subscriptions, or those behind on payments, this is where you will be able to easily filter and identify them. The subscriptions area is clear and simple to navigate, with your expected search and filtering options at the top. We also give you a break down of the number of subscriptions that match the search options, the monthly recurring revenue they bring in, along with the yearly revenue. Tip – this is a great way to see how much paused or overdue subscriptions could be costing you! Overing over the ‘status‘ of the subscription will give you further information such as when the subscription started and how many payments have been processed. If the subscription is paused and set to automatically resume, it will also show the date it’s set to resume there too. 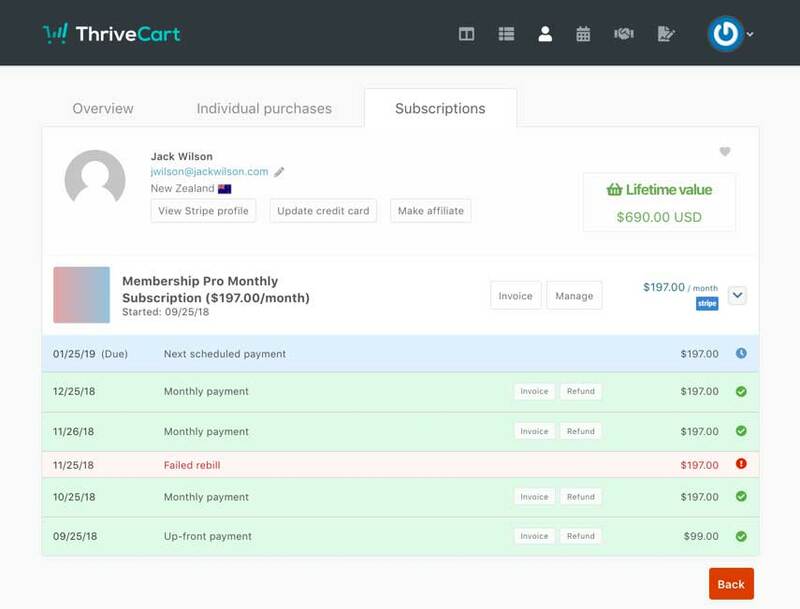 You can also manage your customer subscription from this area by hovering over the Manage button and then selecting an option. You can easily download a CSV documentation of your subscriptions (based on the current search and filtering options) by clicking the Download CSV button at the bottom left of your subscription dashboard. When viewing a customers individual subscription under their profile, we’ll detail all the events that have occurred and when. Including your payments, failed payments, refunds, if the subscription was paused/resumed, and then also when the next payment is scheduled. This is all colour coded so you can easily see at a glance the performance of your customer’s payments. If you have any questions about viewing your customer’s subscriptions or their settings, you can contact the friendly support team here.